Before her party got voted out of power via the most sophisticated polls we have ever had, erstwhile Petroleum Minister Diezani Allison Madueke actually did some good. She was an active champion of the Nigerian Content Act, which stipulates that every company executing a project in a community must establish a project office in that community with an attendant retention of created Nigerian Content value in Nigeria; which in turn is expected to stimulate the growth of the local communities including associated derivatives from Oil and Gas production. The Act, signed into law in 2010, also stipulates that every multinational oil company operating in Nigeria must domicile 10% of its annual profit in Nigerian banks. In addition to this, the Act provides for all aspects of insurance in the oil and gas industry to be handled by Nigerian insurance companies unless where in the opinion of the Nigerian Insurance Commission, the capacity of the Nigerian company has been exhausted. It provides that the award of contracts shall not be solely based on the principle of the lowest bidder where a Nigerian indigenous company has the capability to execute such a job. Nigerian Indigenous companies with bidded costs not exceeding 10% markup of the lowest bidder shall be awarded the contract. Operators and project promoters shall consider Nigerian content when evaluating any bid where the bids are within 1% of each other at commercial stage and the bid containing the highest level of Nigerian content shall be selected provided the Nigerian content in the selected bid is at least 5% higher than its closest competitor. Allison-Madueke, in promoting Nigerian Content whose overriding principle was to grow indigenous capacity in an aggressive manner, has been placed on the path of irreversible progress with increased indigenous investment in critical infrastructure. In a 2014 Media parley, she reported that the country has seen robust indigenous investment in Marine vessels of various categories, while wholly owned Nigerian vessels have increased astronomically through the years. According to her, investment in the sector has created over 40, 000 jobs across the hydrocarbon value chain while we have witnessed increased local investments in asset, in land, swamp and offshore rigs which are vital performance indicators in business growth in Nigerian service companies with Nigerian companies forging partnerships for deep water rig ownership and evolving strategies that will increase rig ownership among local players. There have been many a slip between lip and cup, where the Oil industry Nigerian Content Act is concerned, and while we still struggle to close the gap between the theory and the practice, President Muhammadu Buhari Monday in Abuja signed an Executive Order to enhance local content in public procurement. The order which consists of science, engineering and technology components, is expected to promote the application of science, technology and innovation towards achieving the nation’s development goals across all sectors of the economy. 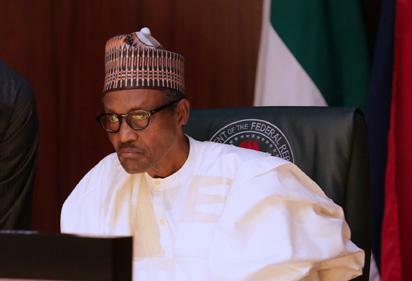 Pursuant to the authority vested in him by the Constitution, Mr President ordered that all “procuring authorities shall give preference to Nigerian companies and firms in the award of contracts, in line with the Public Procurement Act 2007”. Not only is this Executive Order consistent with the Buhari administration’s ease-of-doing-business policy, it also enjoys the good fortune of the opportunity to learn from the modest gains and not-so-modest challenges following the Nigerian Content law of the Oil and Gas industry, which by the way is guided by a governing agency. It also enjoys timeliness and favourable context, if we all agree that what we require is a quantum leap in order to be at par with advancements made by our peers in other parts of the world. In a post that has been widely circulated digitally, former presidential aspirant Professor Pat Utomi hit the nail on the head, raising questions on the readiness of Nigeria to produce the jobs of the future, which will be technology based. Reasoning futuristically, he called urgent attention to our neglect of our educational sector, and its ability to train young people the technological skills without which life in an few decades’ time will be impossible. In as much as it focuses on innovation and technology, the president’s latest Executive Order has the potential to create the impetus for this quantum leap. Minor inconsistencies in policy exist, as expected, even within this administration. The ease –of-doing-business visa to foreign businessmen policy is somewhat at variance with the President’s in this executive order, but nothing that cannot be ironed out. Potential red flags are the same red flags plaguing enforcement of Nigerian Content provisions in the Oil and Gas industry- High Corruption helped along by watery regulation. For this impetus to be created and gains sustained in the Oil and Gas variant, new, non-governmental, non-profit independent regulatory bodies must be constituted to check and balance adherence and ‘punish’ or deter non-compliance. This is where extreme attention to detail must come in if that Executive Order is not to deteriorate into an Executive Joke. The post Presidential Executive Order: Nigerian content is good if… appeared first on Vanguard News. Previous Is it right for Gov Ortom to ask Benue people to defend themselves ? Next CORRUPTION WAR: Is Buhari giving with one hand and taking with the other?